The article appeared in the online NY Times on Thursday, 22 March and will also appear in the print version of the Sunday NY Times Magazine this Sunday 25 March. Yasmin Asif, Professor Aaron Russell and Associate Professor Glenn Wadley: Institute for Physical Activity and Nutrition, School of Exercise and Nutrition Sciences, Deakin University, Geelong. Professor Mary Wlodek: Department of Physiology, University of Melbourne. Professor Jane Black: Department of Anatomy & Developmental Biology, Monash University. Associate Professor Paul Soeding: Department of Pharmacology, University of Melbourne. The authors established that cardiomyocyte hyperplasia (increased numbers) was a major factor in cardiac growth in response to just 4 weeks exercise in juvenile rats. Until now, it was thought that the benefits of endurance exercise on cardiac hypertrophy was short-lived and regressed to sedentary levels within a few weeks of stopping training. The authors study showed that the effect of juvenile exercise extended well into adulthood in rats. 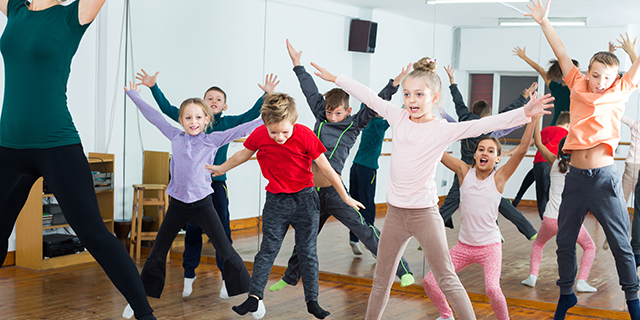 The implications for research in humans are that if children are encouraged to be active early in life, the benefits of this could well extend into adult life as well as promoting a healthy active lifestyle. Yasmin Asif conducted the study as part of her PhD project, with A/Prof Glenn Wadley who led the research and was senior author; Glenn and Mary supervised Yasmin during her PhD. Professor Wlodek was part of a team that published a study of the research in the developmental years and its impact on health, that appeared in a recent issue of Nature featuring a compendium of adolescent health. See News Item. Asif Y, Wlodek ME, Black MJ, Russell AP, Soeding PF, Wadley GD. Sustained cardiac programming by short-term juvenile exercise training in male rats. J Physiology 2018; 596(2): 163-80.